A new month is almost upon us. Is it really June already?! I’m sure you’re going to see that a lot this time. It seems like each month goes faster and faster. If you came from Kimberly’s blog, you’re on the right track. If you get lost along the way, just click here to get a complete list of all the participating blogs. 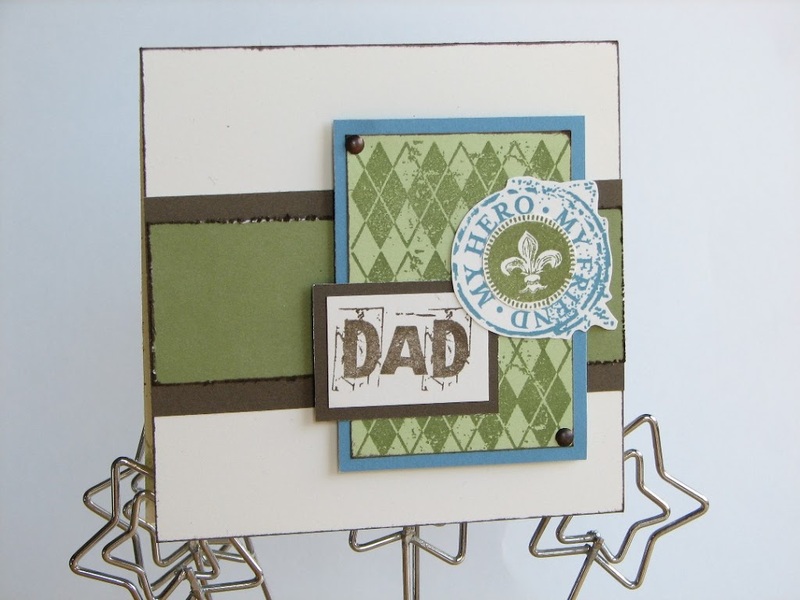 I love the truly masculine stamp set CTMH has for us this month. It’s perfect for all the Father’s Day cards that will be made for those special men in our lives, but it’s also fabulous for a birthday card or any other occasion when we want to celebrate that guy. If they look familiar that’s because they’re taken straight from the artwork in the Idea Book, showcasing this set. I taught a masculine card workshop last month and we made these two cards. The larger, 4 1/2×4 1/2, card is a complete lift. For the smaller 3×3 card, I used the colours from the artwork made with the May SOTM in the Idea Book and the layout from this set’s artwork. I love the fact that our catalogue is such a treasure trove of ideas! No wonder it’s called an Idea Book. Want one for yourself? Just email or call! 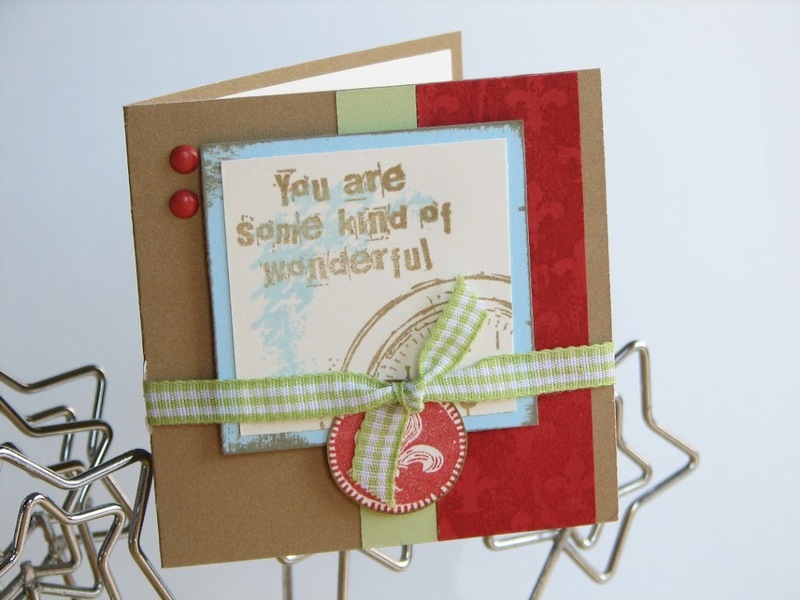 Now it’s time to hop on over to Teri’s blog and see the fabulous work she’s made. 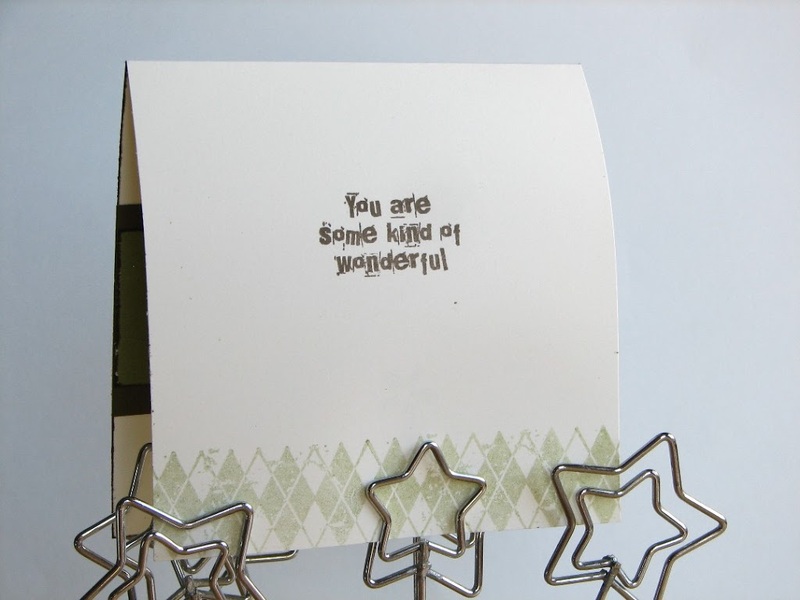 Great cards – adding to my ‘inspiration’ folder!! Love both cards, the top one is masculine for Dad and the bottom one could be used for anything. Great inspiration, thanks for sharing! Great cards! I need to start paying more attention to the idea books! lol! Really nice cards…love the colors! I’m partial to the first, because it’s one of my favorite color combinations. Nice job! These cards are are super! I love the color combo especially on the second one! !